Stephen was born and raised in Savannah, Ga. before attending Liberty University where he graduated in May of 1996 with a degree in Business Management. 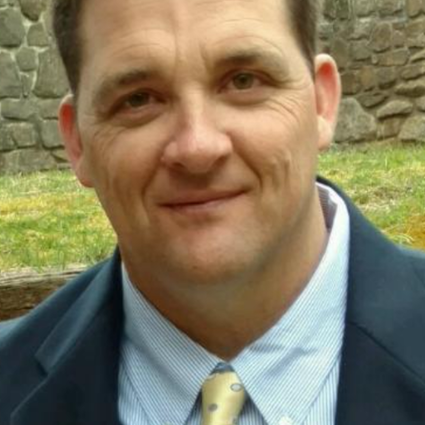 After graduating from Liberty, Stephen returned to Savannah where he began working as a superintendent within his fathers construction company. While learning the business from his father, Stephen started his own company and for almost 20 years specialized in single family residential and multi-family construction, to include light commercial office condos, as well as land acquisition and development. He currently still holds his contractors license in the state of Georgia. Stephen and his family made numerous trips to Lynchburg over the years to cheer on the Flames where he played football from 1992-1995. Every time they pulled into Lynchburg they would say, “it feels like we are home”! After many years of talking and dreaming of a family move, it became a reality in August of 2015. After relocating, he decided to obtain his real estate license. His desire is to now focus on providing a service rather than a product. He would like to use his experiences and knowledge from the building industry to help serve people, by helping them with all of their real estate needs. He developed many lasting relationships over his 20 years as a general contractor and he desires to continue developing those lasting relationships for years to come here in Lynchburg. Stephen is married to Tricia and they have a daughter and three sons.